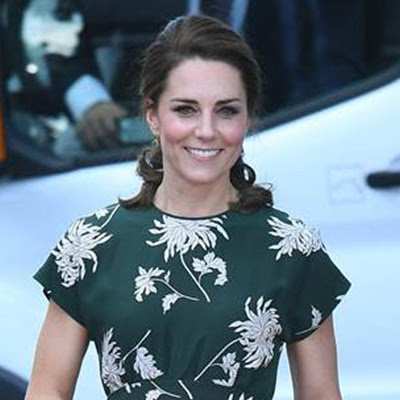 HRH The Duchess of Cambridge, Kate Middleton wore her Siren wire earrings in green onyx whilst attending the Chelsea Flower Show in London yesterday. HRH The Duchess of Cambridge has been a long term fan of Monica Vinader jewellery and especially these green onyx earrings as Kate wore these earrings earlier this year in Kelowna, British Columbia as part of the Duke and duchess of Cambridge tour of Canada. Click here to see how Kate Middleton wore these earrings then. 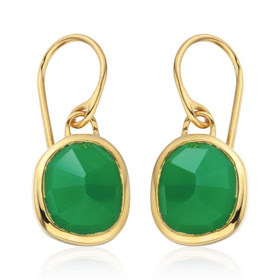 These earrings were a great choice to wear to the Chelsea Flower Show and are much nicer shade of green than Pantones slightly yellow colour of the year greenery. As the colour is quite bright and dark they will make an excellent contrast to all skin tones. 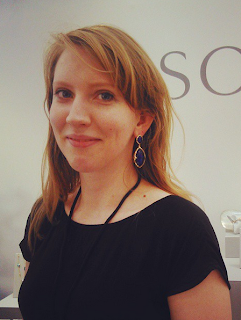 The stone is also not too big or small which overall makes them a safe choice for someone who doesn't want to wear a pair of large maximalist earrings or necessarily too much bright colour. The organic shape of these earrings makes them easy to wear and with a price tag of £125 they make for excellent long term wearability. If you fancy snapping up a pair of these earrings or any other pieces from Monica Vinader then tomorrow is your lucky day. 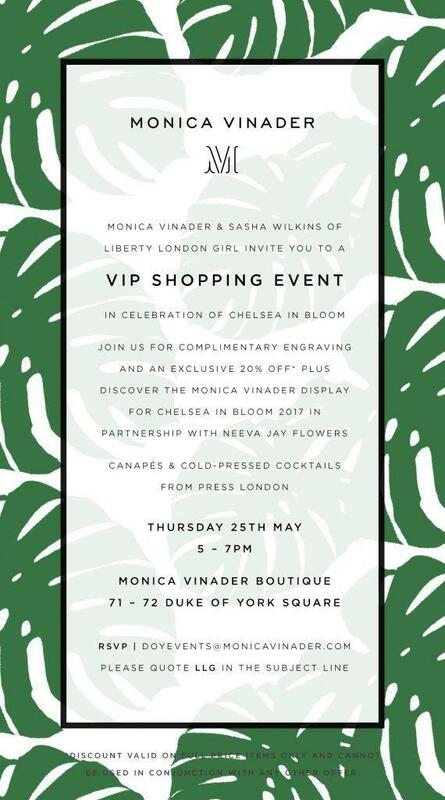 Monica Vinader with Sasha Wilkins of Liberty London Girl invite you to a VIP shopping event at their Duke of York Square boutique . There will be free engraving and 20% off for customers. You will also be able to view the Monica Vinader flower display for the Chelsea in Bloom 2017 in partnership with Neeva Jay Flowers. There will also be some tasty canapés and cold-pressed cocktails. This is a one day event only on Thursday 25th May. 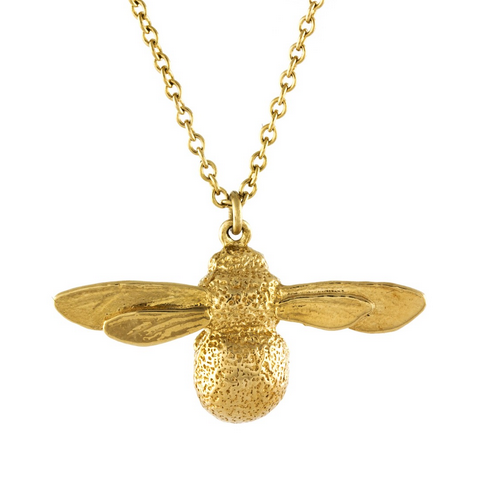 Don't forget to rsvp by emailing [email protected] If you want to see more of Kate Middleton's Jewellery or other celebrity posts head on over to our Celebrity Jewellery page.